I’ve seen both the Jetlag and The Secret of The Hunchback and they are fun to watch and pick apart. 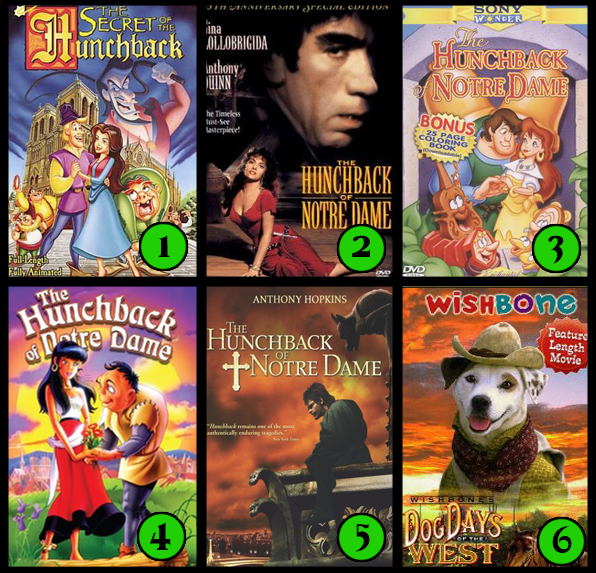 There’s a part of me that wanted to vote for The Secret of The Hunchback or Jetlag, just for the fact that there’s so much wrong with those two adaptations that the reviews for them would be hilarious to read! There’s also a part of me that grew up with Wishbone…I loved to read when I was a kid and I wanted a puppy just like Wishbone. Rest assured, I will get to all of them at some point. I have a feeling that the bad ones will be more fun to review but it’s all good, whatever wins the poll is fine ^^.